Baoding Tianwei Group, owned by the China South Industries Group, has become the country’s first state-owned company to announce a default on its bonds traded in mainland China, after failing to pay $13.8 million in interest. The company said it won’t be able to pay interest on the bonds by Tuesday, April 21. 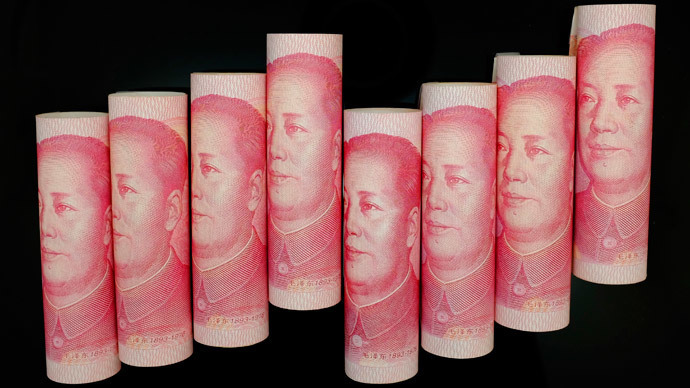 However, it will continue to raise funds for debt repayment in various ways, including the sale of assets, says a statement on the China Foreign Exchange Trade System website. Kaisa Group Holdings Ltd. became the first Chinese developer to default on its US currency debt Monday, failing to make a scheduled interest payment of $16.1 million. The news comes as China is struggling to revive its economy that has seen its slowest growth in more than 5 years. Tianwei’s default shows the attitude toward financial risk is shifting, underscored by the pledge of Prime Minister Li Keqiang to revive a cooling economy with the help of market forces and strip power from the government. Baoding Tianwei’s notes have dropped 7.1 percent since March 31 to 85.3 percent of par as of Monday, which is the sharpest monthly decline the company has seen since 2011. The bond rating is now B versus AA+ at issuance. The Baoding Tianwei group was established in 1995 and mainly focuses on producing power transformers and exports to over 30 countries including the US, Pakistan, Iran and Malaysia. Two private companies have also announced defaults in China’s bond market. Cloud Live Technology Group defaulted earlier this month unable to pay $38.7 million and Shanghai Chaori Solar Energy Science & Technology last year became the first Chinese company to default on onshore bonds. China’s corporate debt is the biggest in the world, said central bank adviser Yu Yongding quoted by the official China Daily last week. Companies had $14.2 trillion in debt at the end of 2013; the figure exceeds every other country including the US with $13.1 trillion in company obligations, Standard & Poor’s said in a June report. State-owned companies make up the majority of issuers of domestic bonds in China with 91 percent coming from government-backed enterprises and just 6 percent being sold by privately owned firms, according to data compiled by Haitong Securities Co.
China’s economy last quarter expanded at the weakest pace since 2009. The country’s output, investment and retail performance pointed to a deepening slowdown, said data released by the statistics bureau in Beijing on April 15. On Sunday, China’s central bank cut the reserve-requirement ratio for banks by 1 percent, expanding its stimulus policies.